Is This The Return Of The Chevrolet Trailblazer Name? At the General Motors Capital Markets day, a little piece of nugget has been caught, and it looks like a teaser sketch of the upcoming Trailblazer. It might suffer the same fate as the Blazer nameplate, though. Car manufacturers bringing dead names back from the grave isn’t relatively new these days. Mitsubishi is among the latest to recycle old names, although absurdly, by re-using Eclipse on a crossover and butchering the Evolution nameplate on an all-electric performance SUV. It’s a huge move for the Japanese brand and frankly, we’re not sure how to feel about it. Chevrolet followed the trend of reincarnating dead car names with the Blazer. Although, just like Mitsubishi, the Bowtie brand reused the name differently, as the Blazer is now a midsize crossover, far from the full-size, body-on-frame SUV that it once used to be. But Chevrolet doesn’t plan to stop there – at least that’s what the latest rumor says. It looks like Chevy is bringing back the Trailblazer name with the latest sketch teaser below. And yes, it’s going to be a crossover. Caught by MotorTrend, this sketch teaser was taken from a slideshow that was presented during the General Motors Capital Markets day. According to MotorTrend, this teaser is indeed the new Trailblazer and it coincides with their sources pointing towards the return of the nameplate. The car magazine also had the chance to talk to Chevrolet marketing director Steve Majoros and ask him about the Trailblazer sketch. The executive answered with a smile and refused to comment. While we don’t have the Chevrolet Trailblazer in stock yet…we do have the all new 2019 Chevrolet Blazer. You are welcome to visit us online or in person. Our dealership is located in beautiful Aurora, IL near Oswego, Plainfield and Naperville. Thanks for reading about the upcoming Chevrolet Trailblazer. 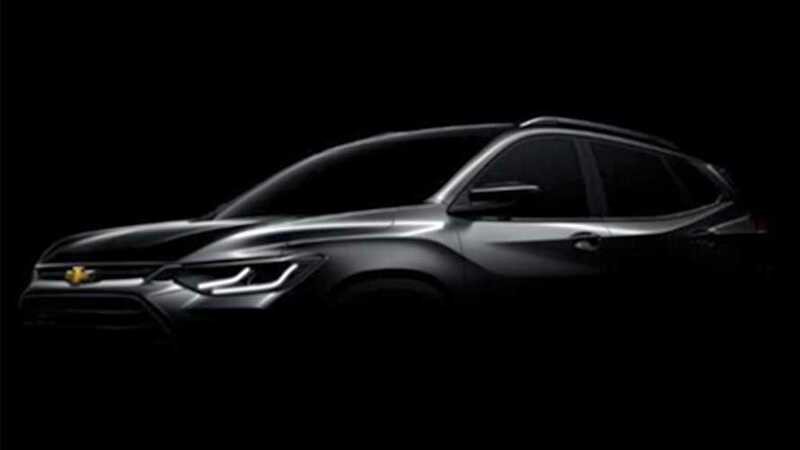 Source: Is This The Return Of The Chevrolet Trailblazer Name? Author WestphalChevyPosted on January 14, 2019 January 14, 2019 Categories NewsTags Chevrolet Trailblazer, ron westphal chevrolet blog, Westphal Chevy BlogLeave a comment on Is This The Return Of The Chevrolet Trailblazer Name?